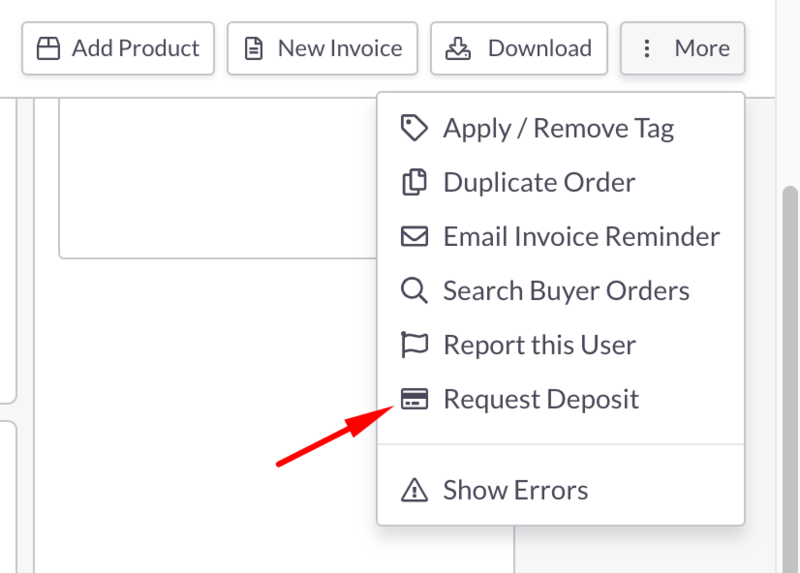 Open an Order, click on the More button, and select "Request Deposit"
A panel will appear for you to enter the percentage to request. 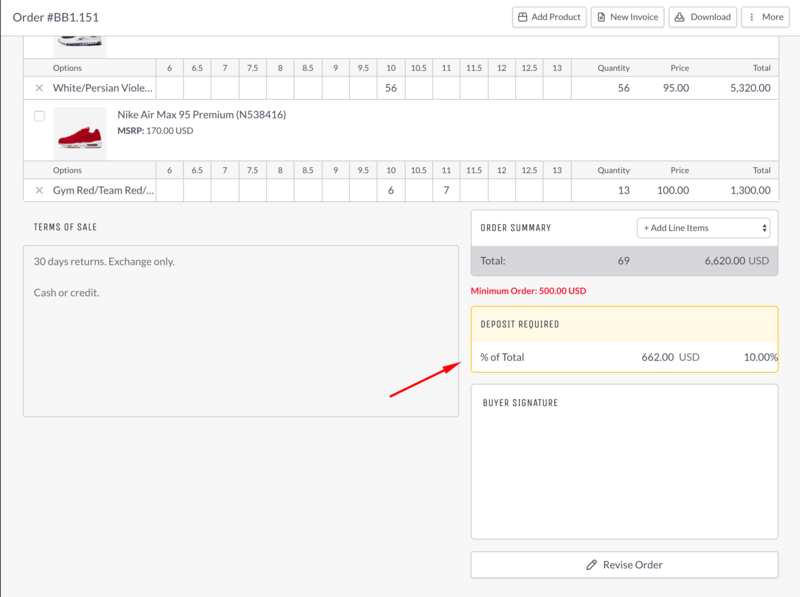 Enter a percentage number and click "Apply" to add the Deposit Requirement to the Order and a notification will automatically be sent to the Buyer's email. At the bottom of the Order form, you will see the Deposit Required box.